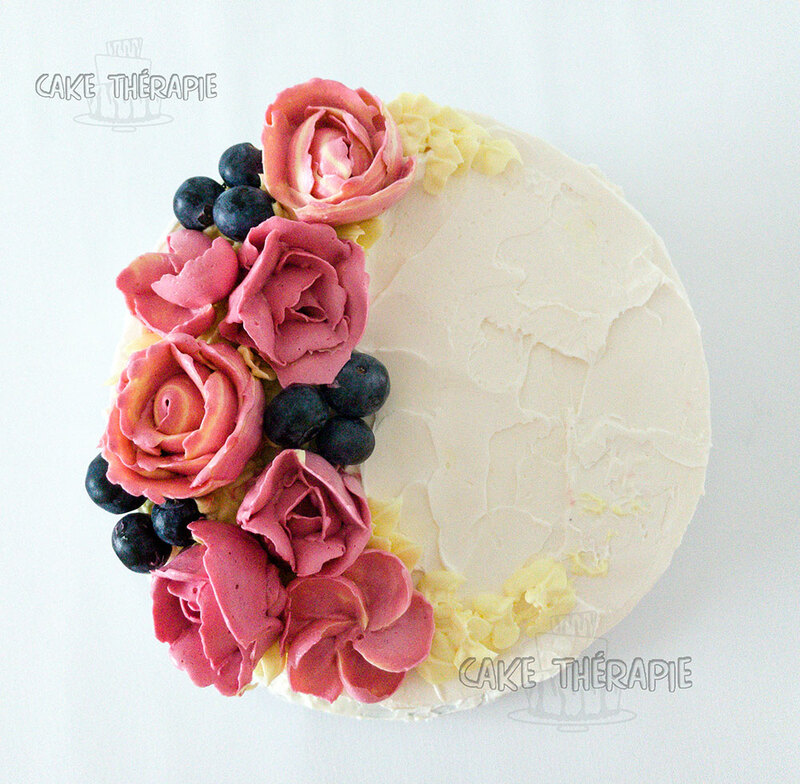 A lovely rustic buttercream flower cake to celebrate a friends's 40th birthday. We have been bench mates back in school days and now we are family. So this cake is most definitely very dear and special. 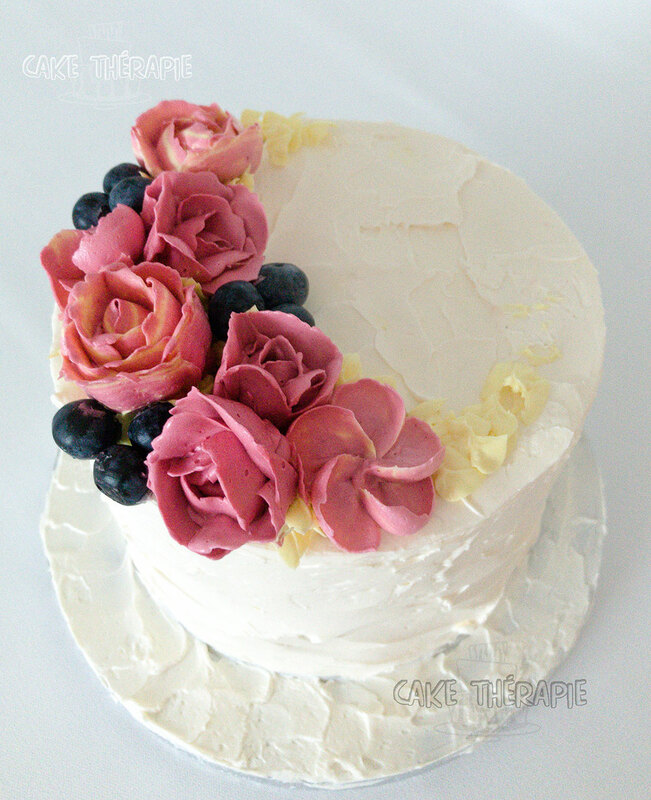 The cake is a moist chocolate cake with a thin strawberry jam layer, filled and frosted with vanilla buttercream. Totally love the rustic finish and the buttercream flowers and the sprinkling of fresh berries absolutely compliment the look. A look inside if you may. 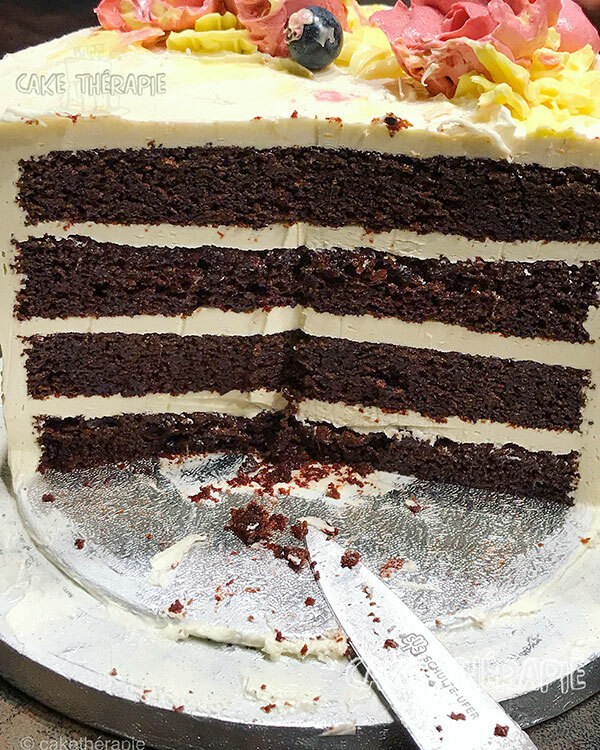 The chocoalte and buttercream layers are such a treat to the eyes! Perfect harmony of sorts.